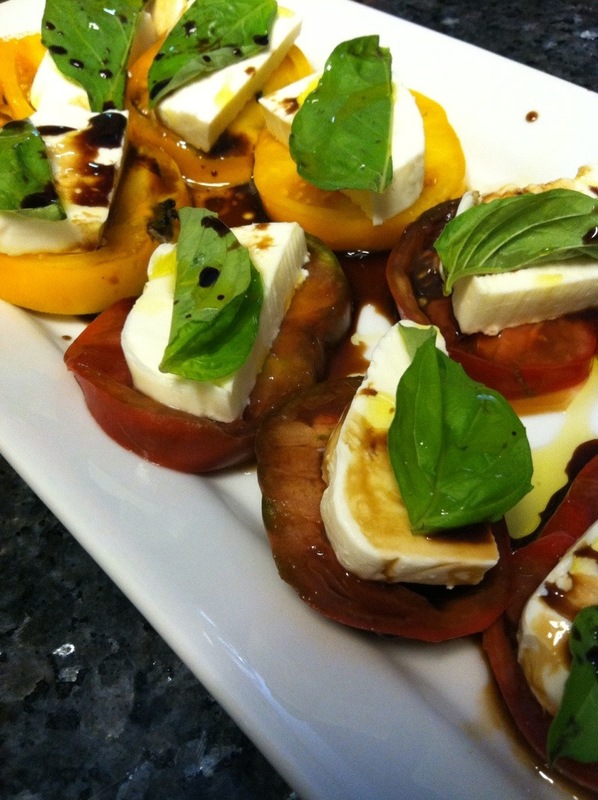 One of my favorite summer time snacks is caprese salad made with home-grown heirloom tomatoes! This is the perfect appetizer, lunch or light dinner. I often make this with grilled chicken or fish for a quick and easy dinner. 1. 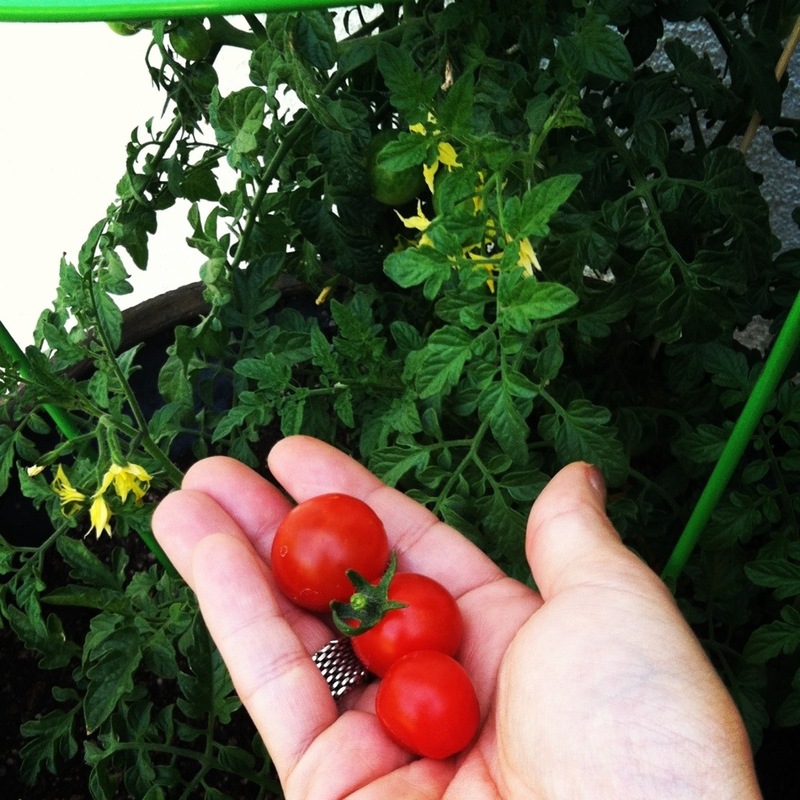 Slice tomatoes with a serrated (jagged) knife. I have a knife that is designed for tomato slicing which is awesome, but a bread knife works great, too! Place tomatoes on a platter. 2. Slice mozzarella and place on top of tomatoes. 3. Place a basil leaf on each tomato slice. 4. Lightly drizzle with balsamic vinegar and olive oil. It’s that easy! I was chatting with a friend recently and she had never tried caprese! If you haven’t, you must! A great alternative is to make the caprese and serve on top of crustinis or place on french bread and broil until the cheese is melted! Thanks 😉they are delicious and frugal!